Collecting antiques as an investment has traditionally paid good dividends, but is that still the case? For some antique collectors, the true value in an antique lies in its sentimental worth rather than in its ability to increase in monetary value over the years. Nonetheless, the question,‘Is collecting antiques a good investment?’ is worthy of a word or two, especially for those particlularly avid antique collectors who hope to make a living from it. Or those who hope to create a retirement nest egg from their financial investment in antiques and collectibles. Sentimentality and Its Role in the Value of Antique Collecting. Without those individuals who hold a great deal of sentimental value in the antiques that they collect or continue to hold onto, the monetary value of collecting antiques might, more often, falter greatly or diminish drastically. After all, many antique collectors invest in their cherished antiques for their sentimental value as well as their inherent financial value. Wanting to purchase an antique simply because you desire to own it often creates a much stronger pull or attraction toward it than wanting to purchase that same antique simply because you believe it will greatly increase in value over the next ten years. For many antique collectors, the reason behind the desire to collect an antique item is often a blend of true appreciation for its appearance and history as well as its potential value. What’s the point in collecting antiques that you don’t appreciate aesthetically? Of course, there is always the monetary value of an item, and that should be worth something in and of itself. However, the true pleasure that an experienced antique collector enjoys is often intricately interwoven with an intrinsic appreciation of the specific collectible genre. Collecting antiques provides their owners with countless moments of visual appreciation, a feat that the ownership of stocks and bonds cannot possibly provide. While no guarantees can be given as to the continued financial worth of a specific antique, as long as collectors exist (which is likely), antiques will continue to hold monetary value at some level. For some antiques, the financial value of a specific piece may increase, while for other items, the monetary value may decrease. There are no hard rules that a collector can use to accurately predict whether a specific antique will go up in value or not. When an antique collector is interested in a specific antique, the item may appear to be more valuable to them. Nonetheless, people like to collect things, especially antiques. It’s nice to own a piece of history that you can sit on, serve dinner on, store items inside of, or look at in appreciation. The value of an antique is realised by the antique collector who owns it as well as the antique collector who wants to own it. If you don’t understand the heading for this section, “Today’s Cup of Tea Is Served in a Different Antique Teapot,” then you might have difficulty understanding the concept that it posits. As each new generation comes into existence, the popularity of some antiques will rise as the attraction of other antiques will decrease. Why is this? Well, for some antique collectors, the desirability of certain antiques is intrinsically linked to the furniture, jewellery, paintings, or other paraphinalia that they grew up with as a child. Fond memories lead to the desire to own familiar pieces of the past and to place them within the antique collectors home or office. At one time, hot tea was served in antique sterling silver teapots. 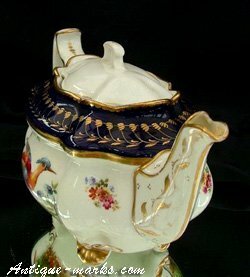 Eventually, porcelain and ceramic teapots became more popular and more affordable. Today, many individuals have never even seen a real teapot, let alone had a cup of hot tea poured from one. The saying, “It may not be your cup of tea,” suggests that not all antique collectors are looking for the same type of collectible, a fact that directly influences the value of any piece of antique furntiure, ceramic or other artifact. 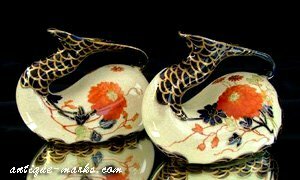 And, with each new generation collecting antiques, the search is on for some new popular variety of antiques. As modern themes emerge in home decor, many previously popular antiques will simply not fit with these new decorative themes. This leads to the selection of a different type, style or period of collectible. Hence, the monetary value of one style of antique may increase while another will remain stagnant or even decrease slightly. 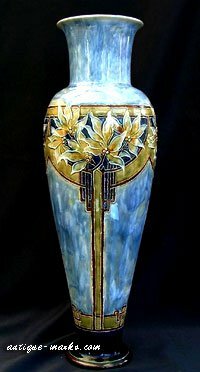 The value of antiques is also influenced by the number of collectors actively searching for specific antiques along with the available supply of the items. As collectors age and begin to sell off their cherished collections of antiques, the market becomes flooded. As the law of supply and demand dictates, the value of the items may decrease in direct relation to the number of collectors searching for specific antiques. Does this scenario mean that collecting antiques is not a good investment? No, in actuality, this type of situation simply suggests that the antiques market experiences ups and downs, in a similar way to other markets. However, as long as antique collectors are collecting antiques and avidly searching for their favorite style of furniture, paintings by their favorite artists or specific collectables from a particular period; antiques will continue to hold their value and remain worthwhile investments. Collecting antiques is like a treasure hunt. The antiques collector searches for that one special perfect find, hoping earnestly to purchase it at a reasonable price. And all the while they are hoping that this antique treasure will increase in value over the years to come. But sometimes, it is that other cup of tea that brings the largest increase in value for an antique collectable. Possibly some twenty, thirty or even fifty years, rather than ten years, down the line. Beauty as they say, may be in the eye of the beholder, but the value of an antique is definitely in the heart of the antiques collector.